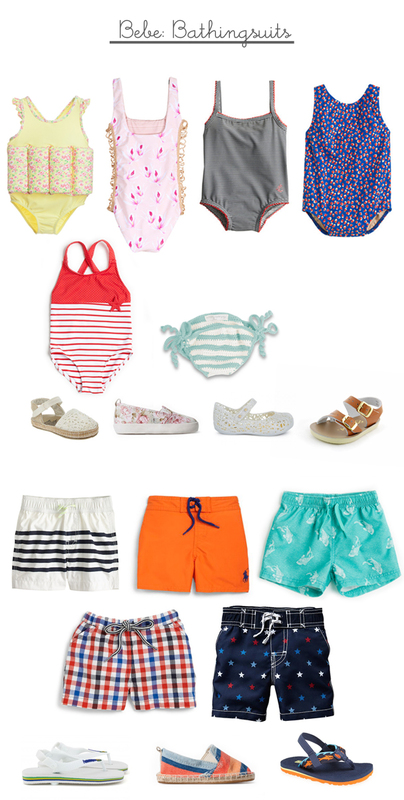 Baby Girl: Sunuva: Girls Yellow Learn to Swim Float Suit, Acacia Swimwear: Bordeaux Honey One Piece/ Island Orchid, Baby Petit Bateau: One Piece Swimsuit, J.Crew: Baby Tank in Rosebuds, Zara: Striped and Polka Dot Swimwear, Mamy Factory: Firmin Swimsuit, Gap: Crochet Espadrille Sandals, Zara: Floral Print Slip-on, Mini Melissa: Glitter Zig-Zag Mary-Janes, Salt Water Sandals: Baby Sea Wees Tan Baby Boy: J.Crew: Baby Swim Trunk in Stripe, Ralph Lauren: Infant Sanibel Swim Trunks, Zara: Printed Swimming Shorts, Petit Bateau: Infant’s Check Swim Trunks, Gap: Americana Star Swim Trunks, Havaianas Kids: Babies White Brazil Flip Flops, Zara: Striped Slip-on with Espadrille Sole, and Teva: ‘Mush’ Sandal. Want La Petite peach in Your Inbox? Monthly love letters delivered to your inbox from, yours truly. You also get the Mindful Mama Workbook for FREE just for subscribing! La Petite Peach is a lifestyle blog covering fashion (for kids and adults), beauty, food, and more as told by writer, and stylist Desiree Spinner. After living in Italy with her first baby, she became passionate about bringing a sense of fashion and European sensibilities to her friends and family. Now Desiree works closely with brands such as Serena and Lily, Munchkin, Marie Chantal, Childrens Salon, Cleobealla, and more—to bring selective mama’s, like her, the inspiration they crave. © 2011-2019 LA PETITE PEACH. All rights reserved. You may not take any images or content from this site without written permission. © 2011-2019 LA PETITE PEACH.All rights reserved. You may not take any images or content from this site without written permission.